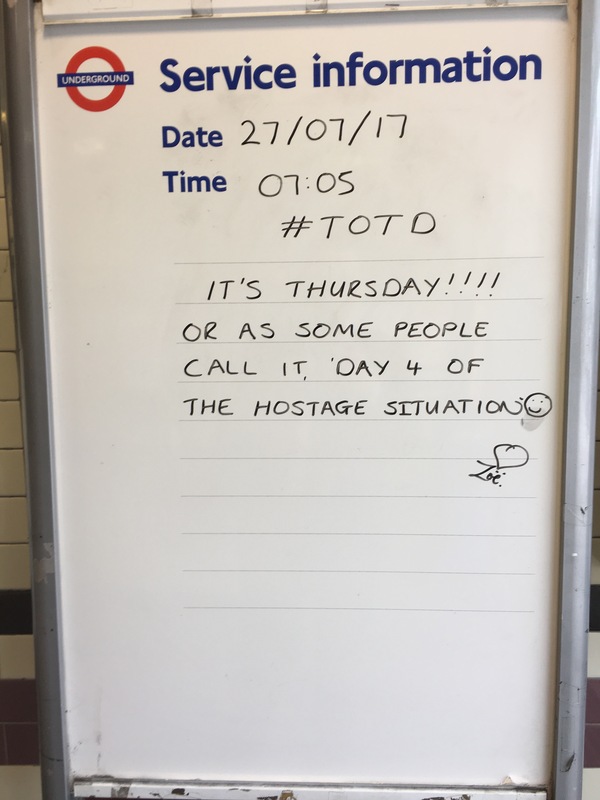 When visiting London and travelling by Tube, you will probably soon notice that it is hard to tell which would be the right thing to do? This question refers to the side you walk on. Sometimes it seems that everyone walks on the right hand side. Sometimes on the left hand side. But there is hardly any pattern. This may be due to the fact that London is not only full of Britons who drive on the left hand side of the road, but also full of Europeans who travel on the right hand side. This makes it quite hard for everyone to agree on a common behaviour and move quickly. However, when noticing it, I was wondering whether there isn’t any general rule you should follow. 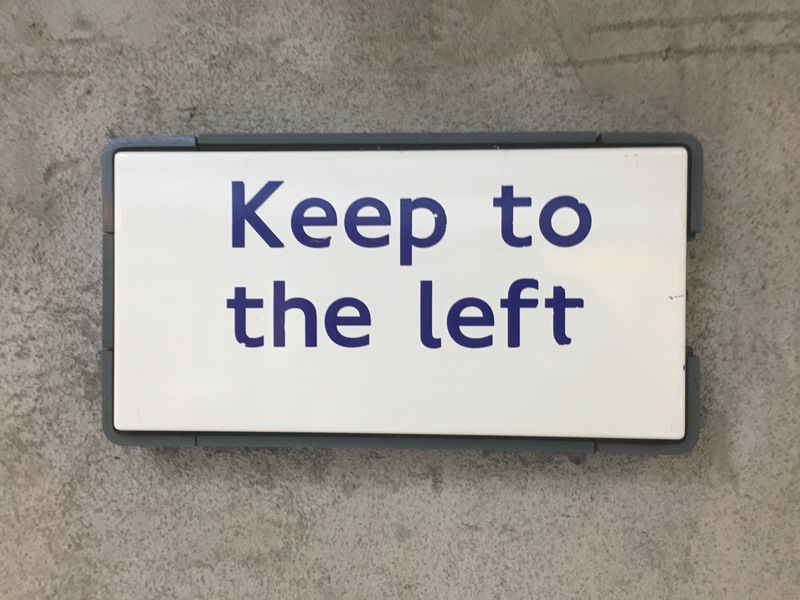 And suddenly, I started recognising the signs in the tube that give you a hint for the left hand side being the right one. 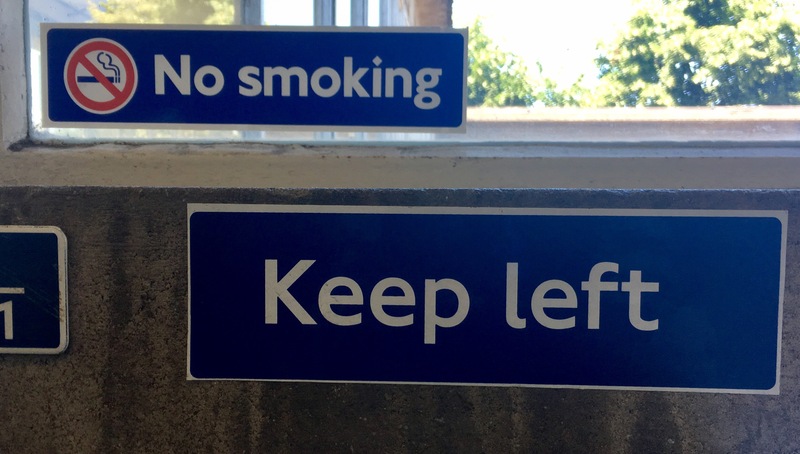 You may now think, walking on the left hand side is the right thing to do. 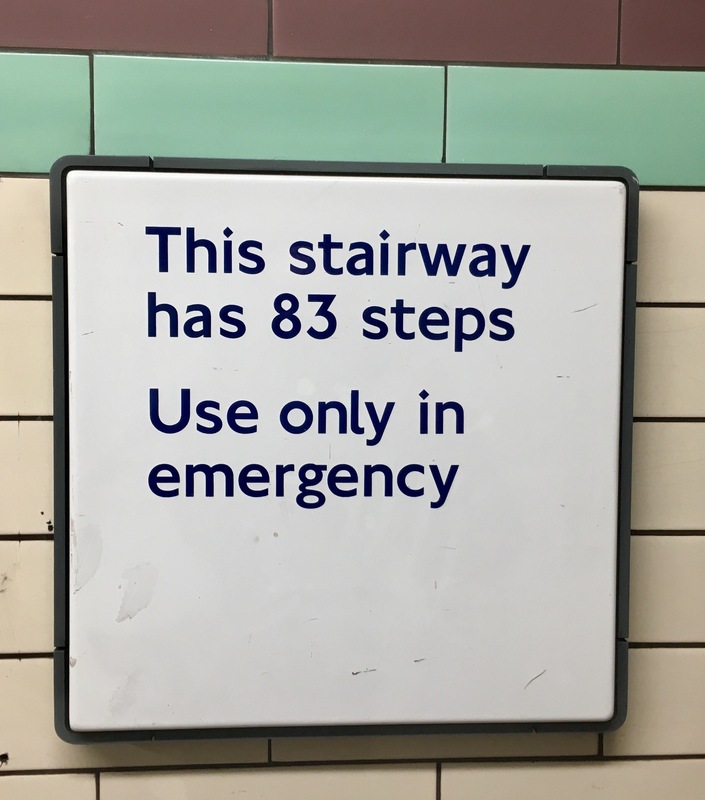 In that case, please do me a favour and change at Green Park Tube Station from Picaddily to Jubilee Line. And what will you see there??? Okay, it is always good to know where the emergency exit is. 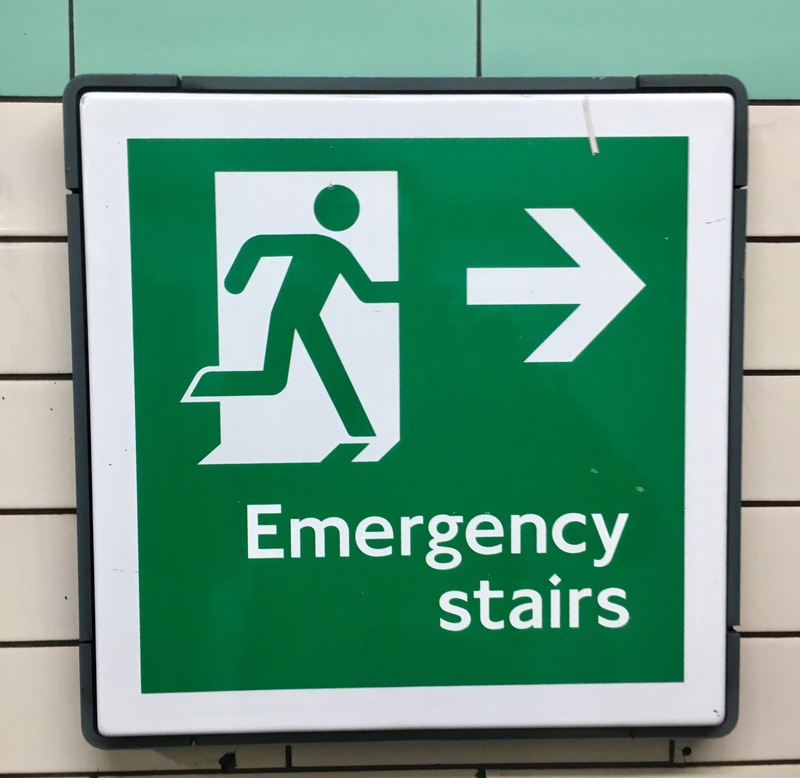 And remember: you mustn’t use the lifts in case of emergencies. Luckily, the number of stairs are shown on signs. However, that doesn’t make it easier. The next one is a ery useful sign positioned at the station entrance. 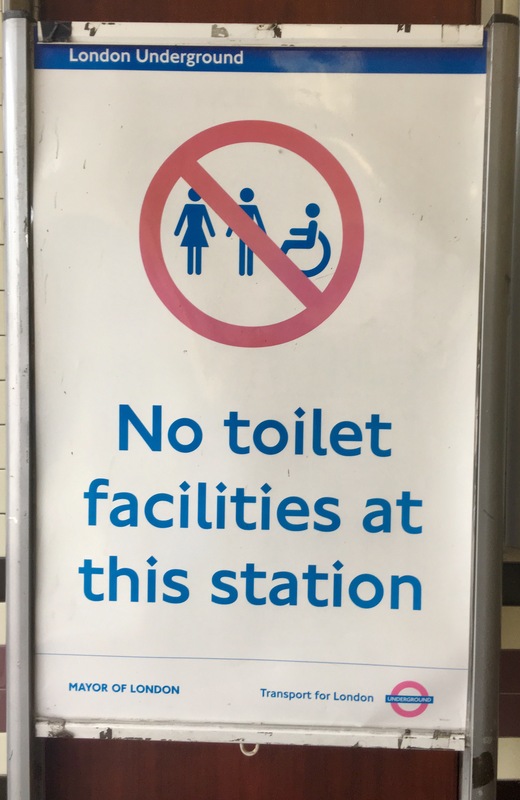 However, I have never noticed a toilet on any tube station I’ve been so far, independently of whether there was a sign or not at the station entrance. So I am not sure how valuable this sign might be. And I doubt that someone enters the Tube station paying the fare just to go to the toilets. Using the escalator is dangerous. You have to follow quite a few rules. 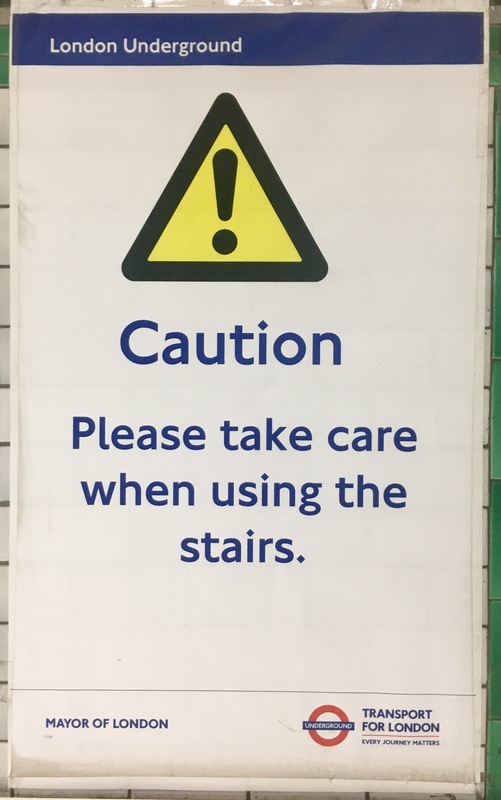 But using the stairs is not less dangerous. However, the usage does require less skills as there aren’t any rules to follow. But one of my favourites is the next one which will be displayed during the summer month. 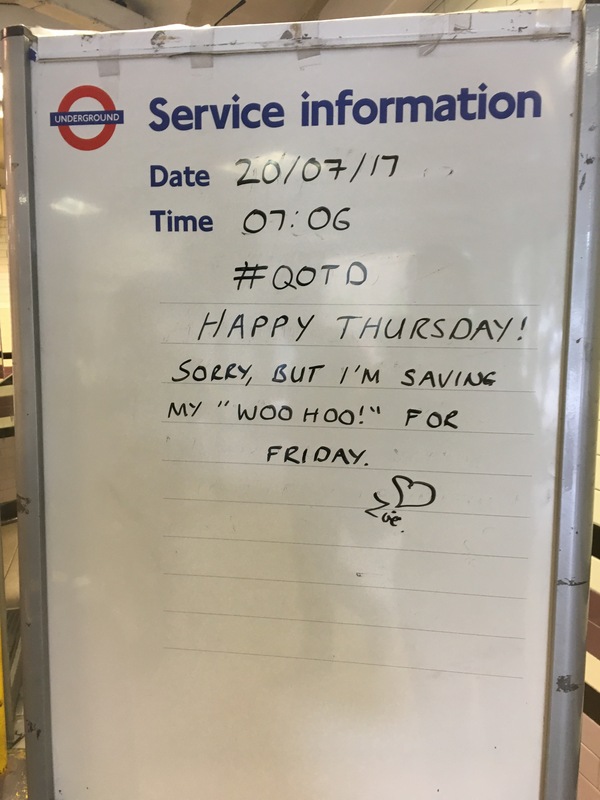 As the Tube does not manage to cool down the Tube network, a simple solution is to make customers responsible for a save journey. 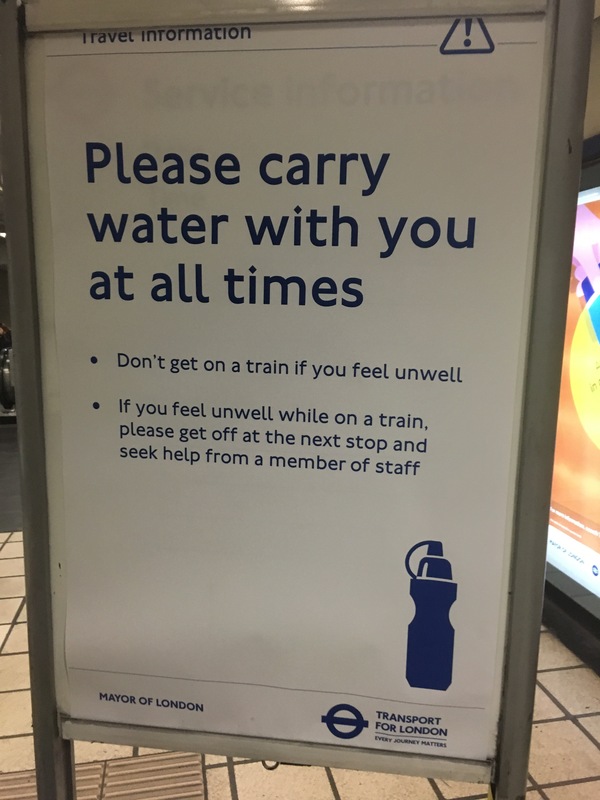 So please do not forget your water bottle in summer when taking the Tube! 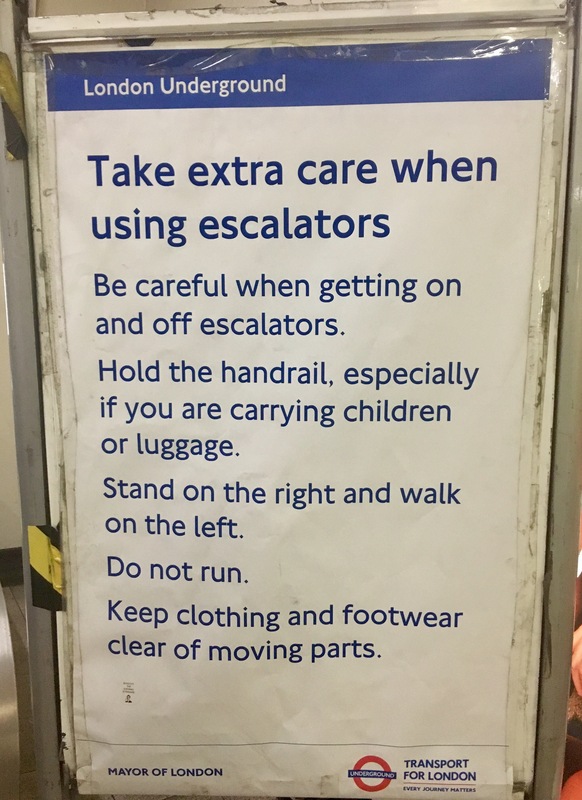 Apart from the official signs to make customers aware of rules and major risks, there are boards which tube employees use to greet their customers. These are the ones I really like. It makes a smile on your face and gives you a nice start in the day before getting to the office. It is also a perfect example of British humor. So in case you are visting London the next time and are wondering which side to walk on, just keep calm and follow the majority!